Dr.Malpani's Blog: Should I transfer one embryo or two? 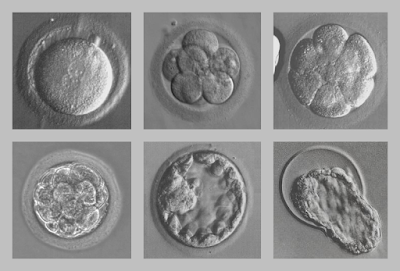 It's very tempting for an IVF doctor to make decisions for a patient. After all, we are the medical experts and patients expect us to make the decisions for them, because we're the ones who are supposed to know what to do. They trust that we will give them the right advice, and we are happy to do so, but doctors are not dictators, and we need to respect our patients' preferences. When there is an option, what we try to do is help the patient to make a well-informed decision for herself, so that she has peace of mind she has made the right decision. We'll explain the pros and cons of both the choices, and explain the medical facts to her, but at some point, she needs to provide her own inputs ! After all, doctors are not mind readers, and she needs to make a decision she's comfortable with. Part of the problem is that if the patient gets pregnant, the patient labels the IVF doctor as being good. However, if the cycle fails, then she labels the doctor as being a bad doctor. This is completely flawed reasoning, which is why we try to be transparent and open with the patient, and involve them in the decision making process. Yes, this takes more time , and it causes more anxiety for the patient, but this is the best approach for her. We promise her that we will provide a safety net – that we will never let her make a wrong decision – but when there are choices, it’s best that she decide for herself. Thus, we always suggest that patients transfer only a single blastocyst at a time – but if the patient wants us to transfer 2, we will accept her wishes.